Open the Mail.app email client. 4. Name the signature and click in the blank field. 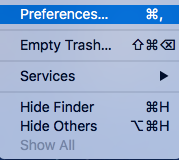 Please make sure to uncheck the box "Always match my default message font". Leave the Mail.app opened and start a new window in your browser. 6. When you are finished, click on the button Signature preview. 8. 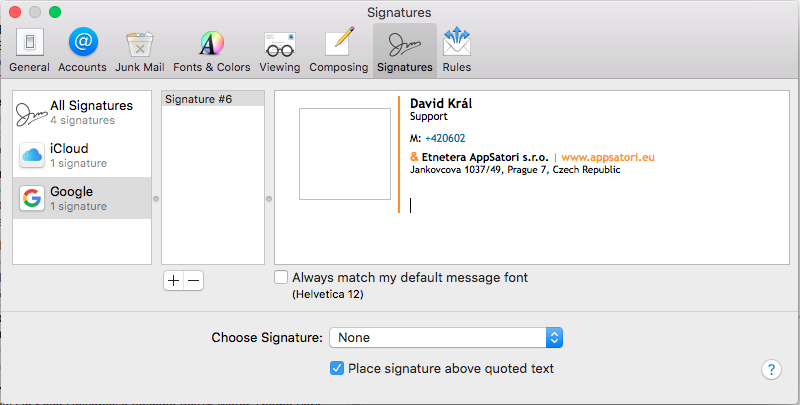 Go back to Mail.app > click the empty field and paste the copied signature with CMD+V. Images are not shown due to a Mail.app bug. But don't worry, it should display just fine when it will be used in an email. 9. Select your new signatures from a dropdown of Choose Signature section. 10. Close the window with the settings. 1. The signature must be added as a part of Google account. 2. 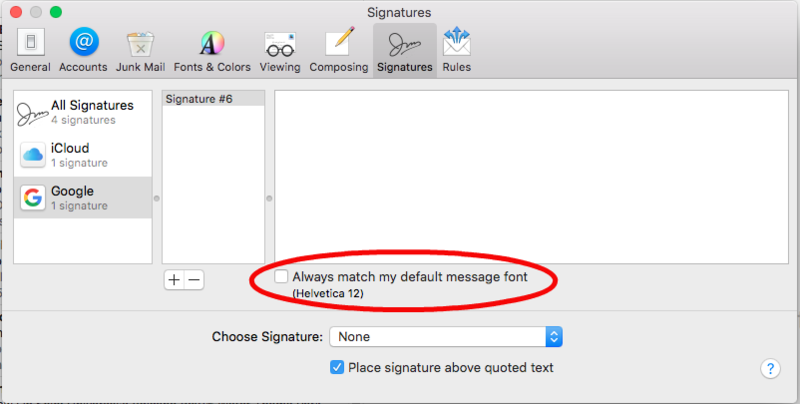 Make sure to leave the box "Always match my default message font" unchecked. 3. Always use Chrome to open your User page.